The Multistate Bar Examination (MBE), a day-long multiple-choice test, is the most difficult part of the bar exam for many test takers. 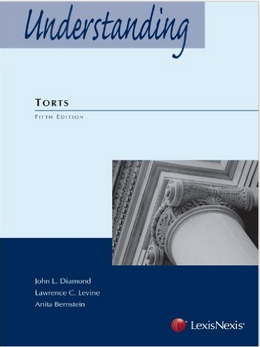 Most future lawyers can put together a coherent argument even when they’re a little fuzzy on some of the finer points of the applicable law, and the essays allow one to put those skills to their best use. However, on MBE questions, there is no wiggle room: you either know the law or you don’t. And even when you do, the test makers have a talent for creating problems where the answer choices all seem like they could be correct. The nature of the MBE causes a lot of students to freak out, but there is a way to turn it to your advantage. 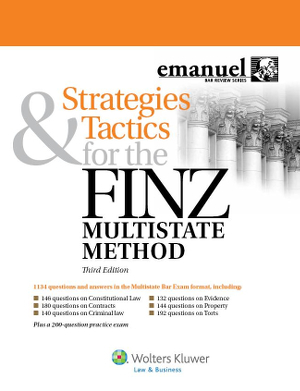 The best way to put yourself in the right frame of mind to master the MBE is to read the 20-page introduction to Strategies & Tactics for the Finz Multistate Method, by Steven Finz. The book contains more than a thousand original practice questions in the MBE format, which are excellent. However, the introduction, entitled “Playing the MBE Game to Win,” is itself worth the purchase price. “Playing the MBE Game to Win” is part pep talk, part deep analysis. Professor Finz points out that although MBE questions can seem maddeningly difficult, the test makers are actually quite limited in what they can do to make the test harder. The amount of law on which the problems can be based is finite, and there can be no trick questions. Each problem must have one demonstrably correct answer, and the other choices must be clearly wrong. Finz reminds us that the test makers are not smarter than we are. They have focused their attention on making this test as difficult as possible, but they actually have very few options. Once you know what those options are, and you imagine yourself in the shoes of the people who create the MBE, you may even begin to feel sorry for them. Their methods are clever, but in the end they have little hope of hiding the correct answer from you. One thing the test makers do is craft the incorrect answers to be distractors or foils, to draw attention away from the correct answer. A wrong answer choice may be correct except for a single word, or it may seem so bland that it is hard to say how it is wrong. 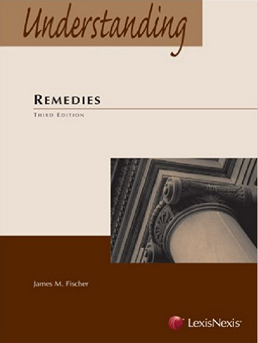 The right answer, in turn, may be disguised by using commonplace language to describe a term that students may have memorized as a rote legal phrase. Another tool at the test makers’ disposal is the use of conjunctions. In the MBE questions with more complex, compound answer choices, everything may hinge on the use of one of four conjunctions: because, if, only if, or unless. 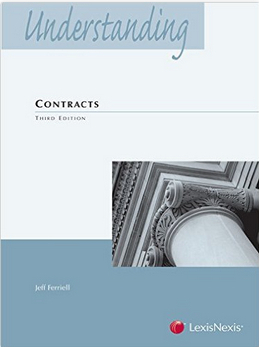 Finz devotes a page to each of these conjunctions, detailing precisely what must be determined when each is used. The more you study the way these conjunctions are used to create distracting wrong answer choices, or disguise the correct answer, the more familiar the patterns of MBE questions will seem to you. Professor Finz invites you to treat the MBE as a game, and that is truly what it is. 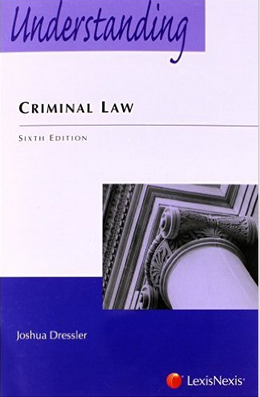 Memorizing and understanding the law are just the prerequisites to playing. Now, some members of the profession that you will soon join have used those elements to create a series of little puzzles for you. They only seem difficult until you take them apart to see how they are made.